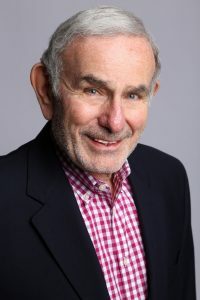 Ronald S. Kaiser, Ph.D., ABPP, is a Licensed Psychologist in Philadelphia, where he is in private practice and also serves as consulting psychologist to the Jefferson Headache Center at Thomas Jefferson University Hospital. In addition to serving on staff at both Jefferson and Methodist Hospitals, Dr. Kaiser is Clinical Associate Professor in the Department of Neurology at Jefferson Medical College. He is listed in the National Register of Health Service Providers in Psychology and Board Certified in Forensic Psychology by the American Board of Professional Psychology. He has a special interest in behavioral medicine and in working with medical patients to improve their emotional functioning. He also started a psychology practicum and internship training site at Jefferson, and he continues to be heavily involved in the training of doctoral level psychologists of the future. During his half century of helping others, Dr. Kaiser has evolved an approach to working with patients that emphasizes their abilities to take charge of their lives and build emotional strength to overcome obstacles and improve general mental health. He is author of, “WHAT CAN GO RIGHT? The Thinking Person’s Guide to Making Good Things Happen,” and the upcoming book, “REJUVENATING; The Art and Science of Growing Older With Enthusiasm. His website for people who seek to develop and improve upon their mental health. Just as a physical gym caters to all shapes, sizes, ages, and levels of physical health—united by the desire to get and stay healthier, The Mental Health Gym is designed for people who are committed to improving and maintaining a level of emotional functioning that permits personal growth, achievement, happiness, and the effective management of stress and challenges. 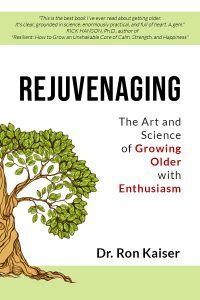 The aging process has historically been thought of as a time of slowing down, declining, and “running out the clock.” By introducing the concept of REJUVENAGING, psychologist Ron Kaiser provides a blueprint for making the aging proces an active and exciting one. With seven keys and countless practical strategies, the book draws upon the exciting fields of Positive Psychology and Neuroplasticity to provide guidance for maximizing physical and emotional health, social involvements, and improved intellectual functioning during the senior years. As Dr. Kaiser emphasizes, growing older is not a spectator sport.